Clockwise, starting at 12:00. 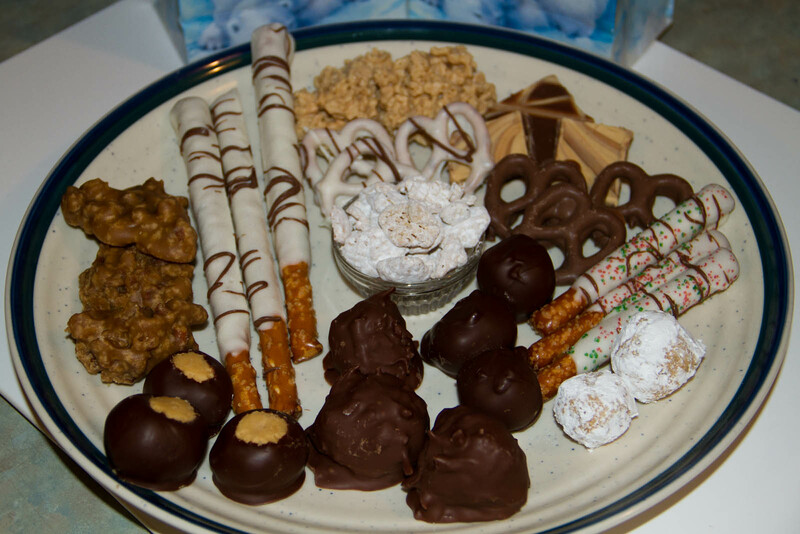 Almond Bark Jumbles, White Chocolate Covered Pretzels, Tiger Butter, Chocolate Covered Pretzels, Cookie Dough Truffles, Dipped Mini Pretzel Rods,, Peanut Butter Balls, Coconut Bon Bons, Buckeyes, Pecan Pralines, Dipped Pretzel Rods. If this won’t do then I don’t know what will. Now, I am ready for Christmas! Busy, busy, busy. 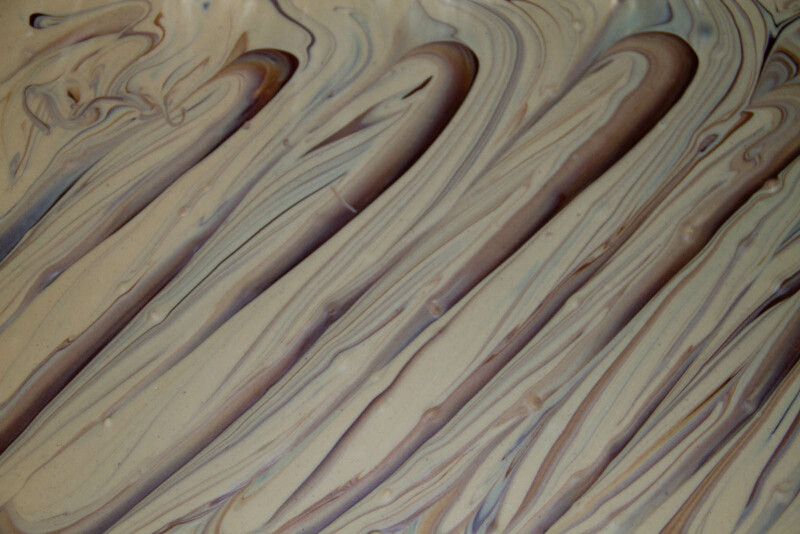 This is the Tiger Butter I made today. Once it fully sets I will slice it on up. Well, at least one thing was completed today. 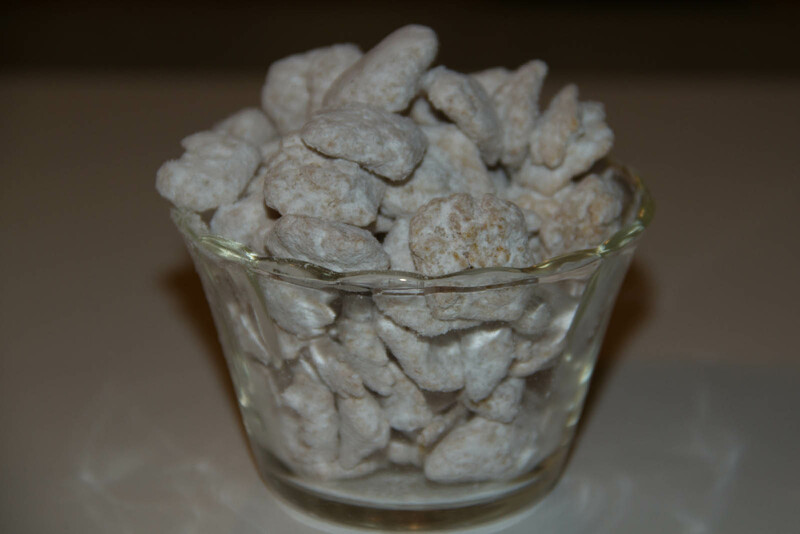 Gator requested White Puppy Chow, and brought home the most important ingredient from work. Tomorrow will be a busy day, I can’t wait!